Market professionals depend on Bloomberg for real-time market data, news, and analytics for all market sectors. Monitor world markets or a particular company, industry, or topic; download historical prices with the Excel plug-in; compare stocks to an index like the S&P500, review corporate actions, view live news events, and create and maintain portfolios. 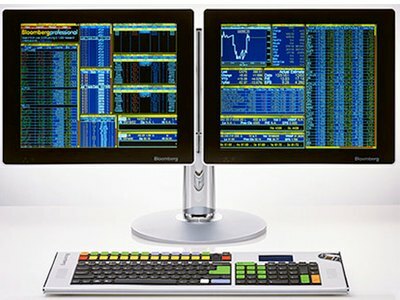 Location: The library's Bloomberg Terminal is located near the Social Sciences desk on the first floor. The library's Bloomberg terminal is accessible when the library building is open (see library hours). Please reserve the terminal when you use it. If you come to the terminal without a reservation and it is not in use, remember to reserve it before you begin your session, otherwise another person might reserve it and you will be required to give up your seat. You may only reserve the terminal for one consecutive hour. If, after that time, another person has not reserved the terminal or arrived to use it, you may continue to use it, though you must give up your seat if someone does reserve it. You can reserve the terminal for more than one hour per day, but please cancel your reservations if you will not be using them. Only BYU students and employees can reserve the terminal.